This is the Gift Guide for Father Christmas to have a peek at, as it's filled with stocking filler gifts for £10 and under. 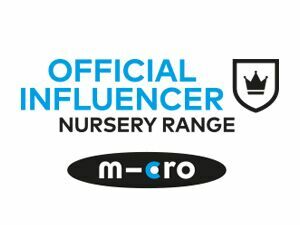 I have been really impressed this year at the range of gifts available for £10 and under; in a time when money is tight it is worth taking the time to find the perfect gifts for your children that are more on the affordable end of the scale. To be honest, many of these presents could be gifts given outside of the stocking, depending how your family 'do' Christmas. My husband's family have sacks and stockings, whereas my family only had stockings. 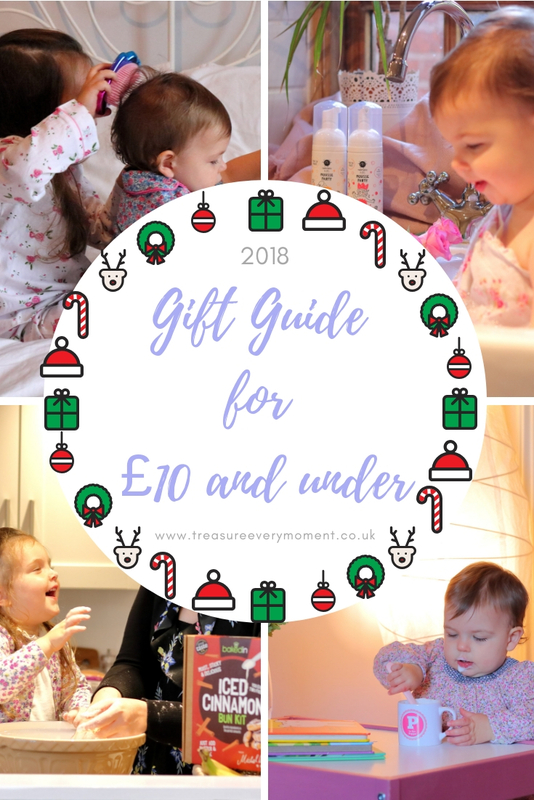 We all do Christmas slightly differently, but either way I hope you feel inspired after reading this Gift Guide for £10 and under. Fairy Charm Jewellery (£9.99) from Interplay CraftBox Charm Jewellery - This fairy themed jewellery set from Interplay contains over 350 beads and charms for children to enjoy making jewellery from. Using their imagination they can come up with their own designs and styles; creating completely unique bracelets and necklaces for them and their friends. The high quality beads and charms give the final pieces that extra special feel, whilst the clear step-by-step instructions help the children who would like some inspiration. CraftBox Charm Jewellery also have this set with Mermaid, Unicorn or Snow Fairy charms. It's also worth nothing that all of their Jewellery sets are for four years plus due to the small parts included. Build a Bug Mini Game (£5) from Orchard Toys - These travel size games are an essential in our household when it comes to meals out, days out, visiting friends/family etc. because they are the perfect size for putting in the changing bag. Orchard Toys have a wide range of mini games that are not only very affordable at £5 each, but also accessible to a range of ages and abilities. Build a Bug is one of the games that is aimed at slightly older children (ages 4-8), due to the need to recognise and read numbers. It's a fun game that up to four people can play at any one time. 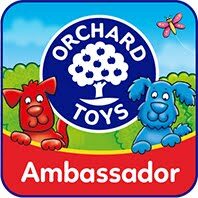 Any of the Orchard Toys Mini Games would make perfect stocking fillers or gifts for friend's birthday parties. Iced Cinnamon Buns Kit (£8) from bakedin - The art of making cinnamon buns is a tough skill to learn, but not anymore with the bakedin Iced Cinnamon Buns Kit. Children can enjoy getting messy, licking the bowl, watching the dough rise and finally enjoying the finished product. It's an educational activity that is also fun and you get to enjoy the cinnamon buns at the end of it all. Each kit contains everything you need to make 14 delicious cinnamon buns, from the all important cinnamon to the foil baking trays. All you need to add is butter and milk and before you know it you'll all be snuggled up enjoying fresh, warm cinnamon buns together. Trendz Single Lunch Bag in Unicorn (£9.99) from Nuby - Nuby's exciting new Trendz range includes backpacks in a variety of sizes, drinks bottles and lunch bags to suit every occasion. They have four primary designs, including Unicorns, Robots, Sharks and Treats, which can be either mixed, matched or purchased separately. This single lunch bag is the smallest of the Nuby lunch bags available, making it ideal for slipping into a backpack, carrying under a pushchair or for little hands to take ownership over carrying it themselves. The compact yet spacious design is plenty big enough to fit a child's lunch in, as well as a small bottle of water and it is insulated to keep food/drink cool for up to five hours. Crate Creatures Surprise Bashers (£9.99) from Smyths Toys - A mini version of the classic Crate Creatures, these Surprise Bashers make horrible sounds when their tongue is pulled, launch through the air and can be bashed into targets. Children can break into their crate, revealing their target and then they are ready to have their tongue pulled, body pulled back and launched at the target! Aim for the highest score, get competitive with friends/family and collect all 12 monstrous characters. They are only suitable for four years plus, due to small parts. Red Arrows Brick Building Set (£10) from Royal Air Force Association Shop - This officially licenced Red Arrows Brick Building Set comes with 97 pieces, instructions and a sticker sheet to bring your model to life. Children can take their time making their own Red Arrows model, adding the stickers and then taking it on adventures. They can put on their own impressive Red Arrow displays from the comfort of your home or use the model to help in their pilot training; embrace their imagination. By purchasing a gift from the Royal Air Force Association you are also supporting their many services for RAF parents and children, including the Storybook Wings. It allows parents to record bedtime stories, along with personal messages for their children to listen to when they are away or deployed. This free service provides families with all the recording equipment needed to record their chosen stories, which is then edited by volunteers to add sound effects and music to the story. This is then put onto a personalised CD and along with a bravery medal is handed back to the family. So far, Storybook Wings have made over 62,000 bedtimes that bit easier. Mermaid Shell Hair Brush in Ombre or Pink (£8.99 each) from Fringoo - Bring their imaginations to life with Fringoo's range of magical Mermaid Shell Hair Brushes. They gently de-tangle hair, so that you can easily brush out that impressive number of knots children manage to get in their hair each day. The shell design makes it easy to hold in your hand while brushing and the different length bristles are very effective at allowing you to brush with ease. Children can use the brush to set up their own hairdressers, neaten up their doll's hair, brush their own locks or transform themselves into a mermaid; let their imaginations run wild when they open this gift on Christmas morning. They are also available in a metallic blue or rose gold with black bristles. Cloud and Brody Bear Placemats (£10 each) from Belo and Me - Belo and Me have a wide range of thoughtful gifts for babies, children and parents, including teething bunnies, superhero craft sets, Mama's daily planner and these adorable cloud/bear placemats. Wipe-clean placemats make life so much easier once you hit the weaning milestone. They stop bowls and plates sliding around while little ones are trying to eat, make cleaning up quicker and are fun for children too. Each of these deigns are available in either light blue, light pink or grey, so you can choose them to match your kitchen/dining room or in your child's favourite colour. They also work really well for a picnics, as they are a slightly firmer surface and mean that crumbs/spillages etc. don't end up all over your picnic blanket. Make Your Own Puffy Stickers (£10) from Hobbycraft - This is the gift for the sticker obsessed children in your life. Inside the box is everything you'll need to make 60 one-of-a-kind puffy stickers, which can then be added to notebooks, folders or simply worn with pride. Children have the option to either use the provided full colour images on the puffy stickers or to colour-in the many illustrated designs also provided. Each puffy sticker is easy to make, can be cut into a round or kept as a square and stuck to almost any surface. A fun activity for children to enjoy going into the new year, which allows their creativity to shine. It is also included in Hobbycraft's 3 for 2 offer across children's toys this Christmas. Personalised Dinosaur Pencil Case (£7.99) from Born Gifted - Born Gifted's friendly stegosaurus character appears throughout a range of their products, including this Personalised Dinosaur Pencil Case. It's the perfect size for school, days out or taking on holiday and material handle on one end of the pencil case makes it easy to carry around. 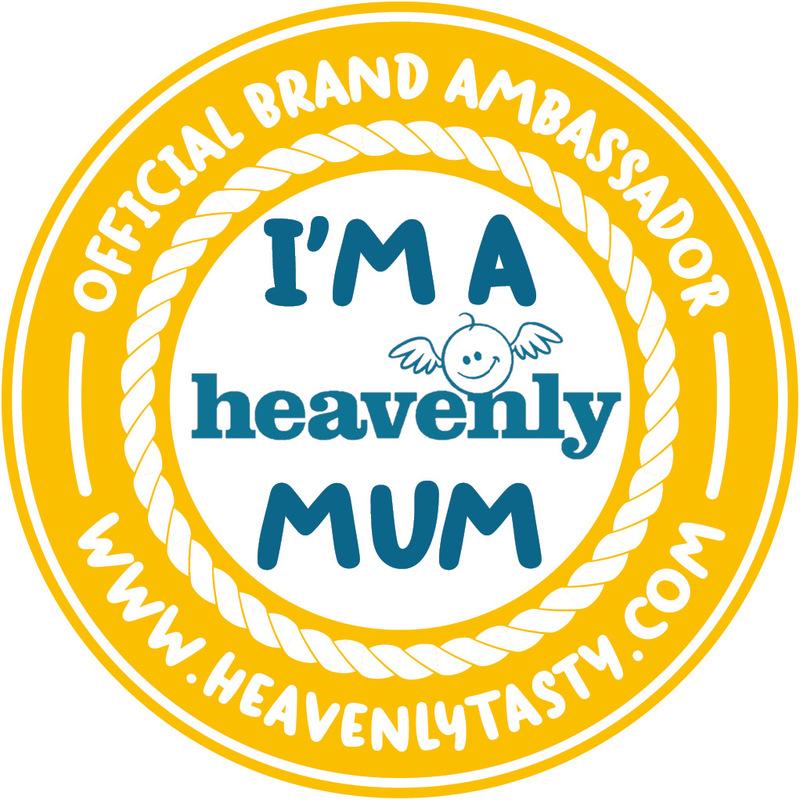 It can be personalised with up to 20 characters, which not only gives your child a sense of pride as their name is clearly displayed but it also helps identify who's it is if/when it gets misplaced. You can also order this pencil case with 12 personalised colouring crayons inside for £11.99, for that extra special gift. Paint Your Own Flower Pot (£4.50) from Hobbycraft - Hobbycraft have an extensive and impressive range of affordable gifts and craft activities that are available both in-store and online, including this Paint Your Own Flower Pot set. It contains six water based paints, a paintbrush and a ceramic flower pot with flower outlines, allowing children to create a masterpiece of their own. You could either give this set as a gift as it comes or buy it to paint and then give as a gift. The ceraic flower pot is really sturdy and the paint doesn't need to be mixed with water at all. In fact when you children are painting the pot it is best to make sure they don't have too much paint on their brushes because otherwise it will run once they've painted in the flowers. It is also often on offer for half price, so it's worth checking their website out regularly. Charm Shell - Calypso (£9.99) from My Mermaid Lagoon Interplay - The Charm Shells are an exciting new addition to the My Mermaid Lagoon collection and are available in three different designs (Calypso seen here, as well as Serena and Storm). Inside each lockable oyster shell you'll find a magical mermaid, beads, elastic and a beautiful charm to make your own bracelet. Calypso comes with a lovely sea turtle charm that can be added onto the bracelet. To open and close the oyster shell the special key is required, adding to the mystery surrounding mermaids. Personalised Monogram Ceramic Children's Mug (£9.95) from The Little Picture Company - Hot chocolates, babyccinos or warm milk, this children's mug is the perfect size for little hands and tummies. The Little Picture Company have a range of designs on their children's mugs, all of which can be personalised too. This Monogram design is a fun way to introduce your child to recognise the first letter in their name, as well as giving them a certain level of pride about having their own special mug. Being able to personalise it with their name makes it a really thoughtful gift to give this Christmas; you can also choose the colour of text from pink, mauve, blue or orange. 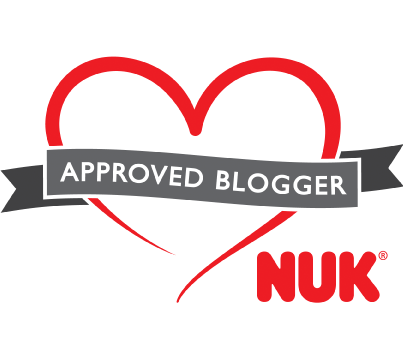 Hair and Body Mousse in Apricot or Strawberry (£7.99) from Nailmatic Kids at 1TwoKids - Nailmatic Kids have created a range of bath and pamper products that are safe for children to use, as well as being fun and natural. Their Hair and Body Mousse is such an exciting way to encourage your children to clean themselves in the bath. The foaming pump provides a light, airy texture that leaves their skin clean and hydrated. Children will love making swirls of foam in the palm of their hand, on the head or shoulders; why not mix it up in a bowl in the bath before getting clean? The mousse texture really brings to life children's imaginations, while the tear-free formula and 95% natural origin ingredients keep us parents happy. I have also put together a Gift Guide for Babies, Gift Guide for Toddlers and Gift Guide for Parents, if you need any more inspiration. Which is your favourite stocking filler gift this year? Some really gorgeous gifts here, I love the fairy charms and that cinnamon bun kit sounds delicious. Adorable photos too. Great selection. I would have loved one of those mermaid shells as a kid! Orchard Toys games are great too, their mini ones are just perfect for stockings. We have the Spiders & Spouts one, and Bug Bingo. I love so many of these ideas, the mermaids brush, the Orchards Toy game, the cloud placemats...so much of it. Some amazing ideas!! What a fab gift guide! I am so going to get that fairy charm set for my girls! These are such cute ideas! I don't have any children to buy for but the iced bun kit looks like something I would enjoy! I really love the range of craft activities you’ve got on the list. The iced bun cinnamon on kit sounds like the most fun out of all them plus you get a tasty treat st the end. I wish they had that fairy charm jewellery set when I was a child. I would have loved it! We love Orchard Games. What a great selection of gifts. The fairy charms are fab stocking fillers. I am loving the Christmas gift ideas here. So affordable. Great for stocking fillers. What a gorgeous gift guide - I absolutely love the look of everything, but most of all, the lego style Red arrow? That's going on MY list nevermind the kids! ha! I love the baking boxes. We had a chocolate brownie kit once - kids loved making it, I loved eating it! You've got a great selection there. We're huge fans of Orchard Toys games and I think that bug one would really appeal to my son! Lovely ideas, mu daughter would love that unicorn lunch bag! Some brilliant ideas, but I know my daughter would love the unicorn lunch bag! Thanks for including us in your gift guide, Helen! So good to see your daughter enjoyed making the buns, and they look absolutely perfect!